Ski touring in Nordmøre and Romsdal - Fjord Norway. Located in Fjord Norway, the Nordmøre and Romsdal area is ideal for a ski touring challenge in some of most scenic terrain the country has to offer. In the northwestern corner of Fjord Norway, the area of Nordmøre and Romsdal awaits with alpine peaks close to the ocean. Here you will find some of the biggest vertical gain in Norway, and long ups and downs to keep you entertained throughout your stay. This region really comes to life in the springtime, when you can experience grain snow skiing of the finest calibre. On the Romsdal Haute Route, commonly billed as the ‘ultimate ski tour’, you can look forward to three days in some of Norway’s remotest peaks. Starting and ending at the Romsdalen Lodge, the tour combines fantastic skiing terrain with spectacular fjord views and runs of up to 1,200 metres. Along the way, you will stay at conveniently located mountain huts and have the opportunity to enjoy delicious Norwegian cuisine. Another classic tour in the region goes under the name ‘The alpine ski tour’, just north of Romsdal. Together with an IFMGA certified guide who keeps you safe, you will explore the mountains that dominate the beautiful area around Sunndalsøra. Taking in 1,000 metre downhill descents, this adventure will put the most skilled ski tourer to the test. Both tours are within a short distance of the cathedral city of Molde and the culturally vibrant town of Kristiansund, making it perfectly possible to combine your ski tour with a city break. Stay safe and find out about the avalanche risk before you set out. You can check the avalanche forecast for Nordmøre and Romsdal at varsom.no. Read more about ski touring in Nordmøre and Romsdal. Kirketaket (1,439 metres) is considered the classic of the popular Isfjorden area. The curved formation of the flank protects from winds and generally ensures some of the best snow conditions in Isfjorden. The Nordmøre area has a number of good restaurants and cafés, as well as many interesting local food producers. See all your options for eating and drinking in Nordmøre. The Norwegian Mountaineering Museum (Norsk Tindesenter) in Åndalsnes is an interesting stop for all ski touring enthusiasts. See all cultural attractions in Nordmøre. Trollstigen, Romsdalseggen and the Atlantic Road – some of Norway&apos;s most visited tourist attractions – are found in Nordmøre. See a complete list of things to do in Nordmøre. 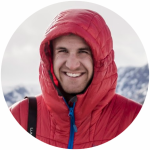 Espen Håvik is a ski tourer who knows the area well. 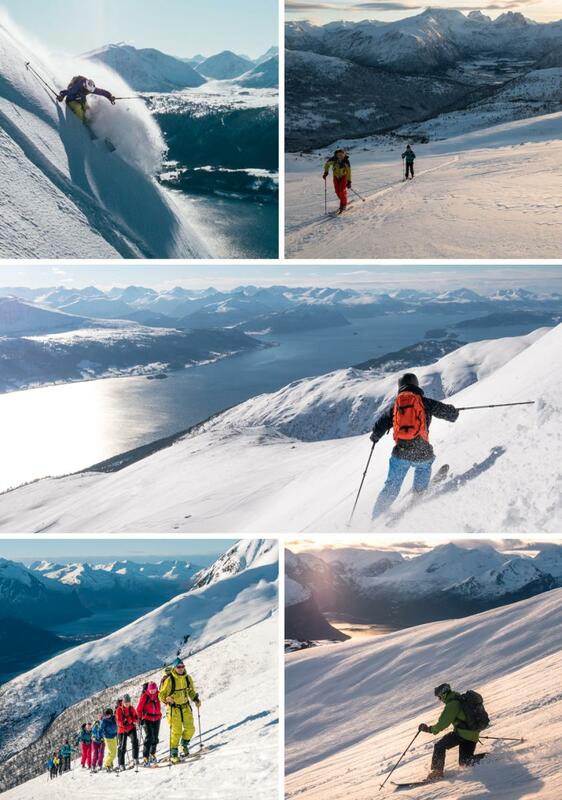 "Romsdal is perfect for ski touring with tall, beautiful mountains that rise straight out of the fjords. And the area has something for everyone: Short and easy beginner trips like Smørbotntind, longer spring classics like Kyrkjetaket, and steep skiing down the Slingsby route on the mountain Store Venjetind", he says. "From the city of Molde you have the view of the beautiful mountains, and they are just a short drive away!" "There is usually snow between November and June, with regular refills of fresh powder through the season." Explore the unmistakable landscape of Romsdal as captured by local ski touring enthusiast Espen. Get in-depth travel information at Northwest&apos;s official website. Express buses and local buses connect Åndalsnes (at the end of the Romdalen valley) and Sunndalsøra with Molde and many other cities and villages in the area. Renting a car gives you more flexibility and easier access to the runs. The scenic Raumabanen from Dombås to Åndalsnes has several daily connections to the Oslo-Trondheim line (which stops at Oslo Airport). See nsb.no for ticket information and time tables. Molde Airport is the nearest entry point to the skiing areas in Romsdal, with daily flights to and from Oslo, Bergen and Trondheim. Alternatively, you can fly to Kristiansund Airport to enter the area a bit further north, or to Ålesund Airport a bit further south. Plan your trip and inform others about the route you have selected. Adapt the planned routes according to ability and conditions. Pay attention to the weather and the avalanche warnings. This is especially the case for ski tourers - check the current situation in your area on varsom.no and make sure you follow the advise given. Be prepared for bad weather and frost, even on short trips. Bring the necessary equipment so you can help yourself and others. Choose safe routes. Recognize avalanche terrain and unsafe ice. Use a map and a compass. Always know where you are. Don’t be ashamed to turn around. Conserve your energy and seek shelter if necessary. Dramatic coastline, long fjords, alpine mountains and lush valleys – the north-western part of Norway is wild, authentic, and beautiful. Drive the National Tourist Routes Trollstigen and the Atlantic Road, or walk the Romsdalseggen ridge.